DIY Projects for today's bride and groom! 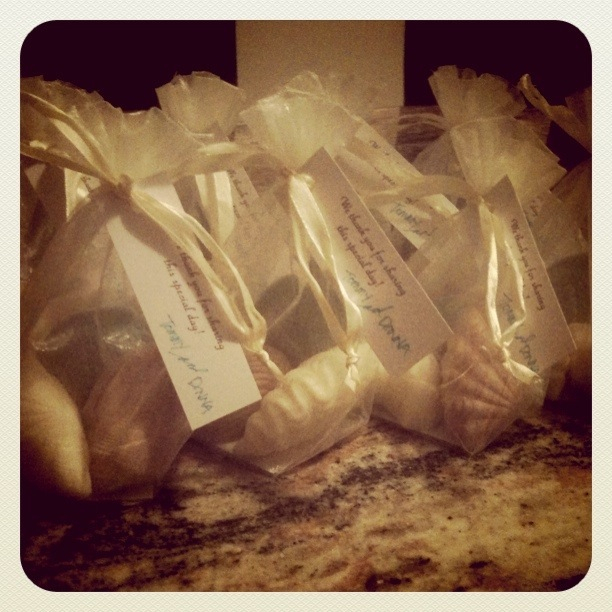 Invites, Flowers, Favors, Cakes and more! As the cold of winter is upon us a lot of us indulge in things during our free time that scream warm and cozy. Soaking in a hot bath is one of things that comes to mind for me and adding some relaxing bath products like homemade bath fizzies or bath bombs just ups the comfy cozy factor. That’s why I thought they would make an awesome affordable diy project for all of you looking for a favor your guests will be excited to take home and use to relax after partying the night away at your wedding or party! I found my recipe on the Martha Stewart site and wanted to share! Stir together citric acid, baking soda, and cornstarch in a glass measuring cup. 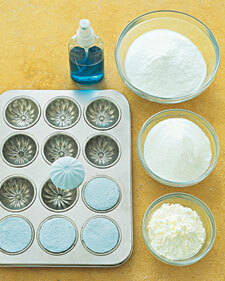 Pass mixture through a fine sieve or a flour sifter into a mixing bowl. Stir in sugar. Fill spray bottle with water (or witch hazel), and add food coloring. Spritz mixture lightly (it should become damp but not fizzy) until you can pack mixture with your hands. Using pipette, add oil, 1 drop at a time, until strength of scent is to your liking. Using a metal spoon or your hands (you will want gloves so you don’t risk staining your hands! 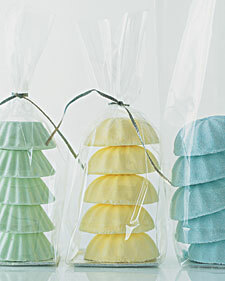 ), mix ingredients until color is even throughout (mixture will begin to dry out; when this happens, spritz until packable again). Spoon into mold, pressing firmly. Let dry at room temperature overnight. Pop out of tray gently. Then you are ready to put them in jars or bags and pretty them up! 😀 Add some ribbons, labels with name and directions and you have yourself completely customized wedding favors your guests will love! 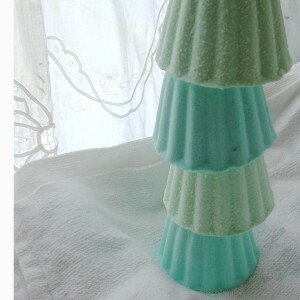 If you would rather watch a video showing how to make your own fizzies I found a great one on youtube by DIYBathBodyandHome. Her recipe is very similar only she also adds soluble dextrose which helps make the fragrance in the bath bomb last longer (Can’t go wrong there!) and she adds sweet almond oil so the bombs are moisturizing. She also oils her mold with the almond oil so they slide out easily. Great idea! If you use these instructions to make bath fizzies for your wedding please send in photos so we can share! DIY Project: Super Easy, SO Beautiful Glitter Ornaments – Great for Favors and Decor! Autumn/Fall Signature Drink Recipes – Caramel Appletini and Pumpkin Pie Martini – YUM! DIY Project – Light Bulb Bud Vase – Perfect for Table Decor or Hanging! If you're planning a wedding check out our parent site Wed-Central.com, where you can browse all of your local vendors free! 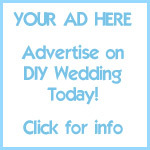 Be sure to add your business to our FREE wedding directory at Wed-Central.com! 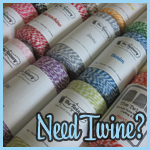 Need Baker's Twine for your diy crafting needs? I've got you covered in my Shop! Baker's Twine is perfect for customizing DIY Invitations, Favors, Decorations, Centerpieces and more!